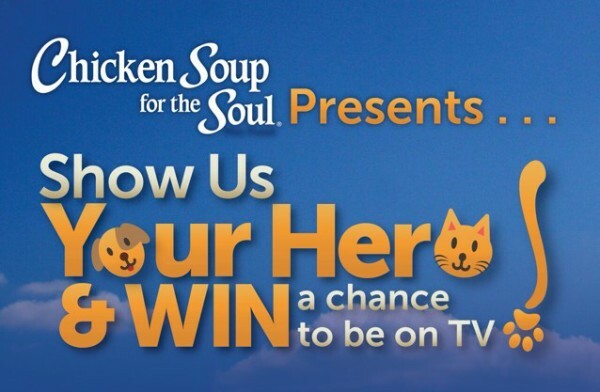 This post is sponsored by Chicken Soup for The Soul Pet Food and the BlogPaws® Professional Pet Influencer Network. I am being compensated for helping create awareness around the Brand and new product launch, but I only share information I feel is relevant to my readers. Chicken Soup for The Soul is not responsible for the content of this article. How do you say “I love you” in cat? That’s a question I strive to answer every day. My furry family may have a limited grasp on the English language (aside from Zoe, who practically speaks English when she meows), but I like to think that my actions show them the meaning of love. In our house, the cats and dogs aren’t just pets, they’re family. I bet many of you feel the same way. My furkids are especially important to me because they’re a major balancing force in my life. I have massive anxiety disorder, reverse seasonal depression (I get sad in the summer) and PTSD. I work very hard to keep it together all the time because as a single mom, I am solely responsible for keeping the world spinning, at least in our household. 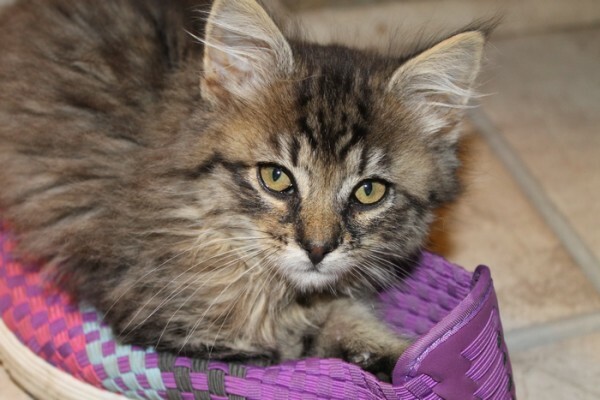 Recently, I wrote about my heroic little Alex the Fuzz, how his tenacity and gentle spirit won me over and made me bring him in from the harsh outdoors. There’s still time to enter the Hero Pet contest, by the way! Honestly, though, all my pets are my heroes. How do you show a hero just how much you love them? When we had our one and only snow storm this year, Zoe really wanted to see what it was all about. She sat at the window all day, darting back and forth as the snow fell. She’s not allowed outside, so I brought it in for her and Alex the Fuzz. 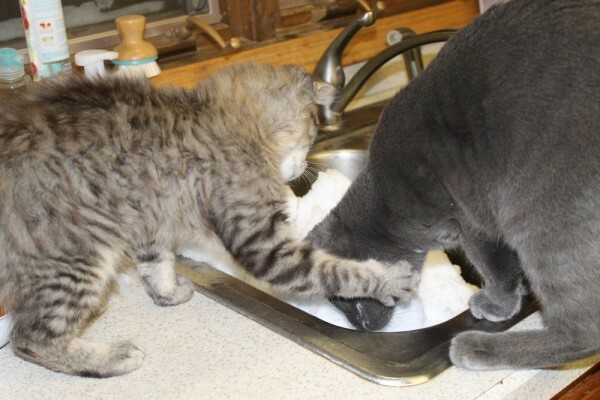 The Fuzz was only interested in making sure Zoe found out just how cold it was, then he was over it. When it comes to my kitties, I find that I’m often willing to give up my own personal comfort for the sake of their happiness. I’ve switched shoes at the last minute because The Fuzz was oh-so happy playing with my favorite pair (also his favorite pair). I didn’t sleep much the first couple weeks that Zoe was here because she preferred she insisted on sleeping on my head. I’m always giving up my heating pad because Alex really wants it. YOU try saying no to that face. Sometimes I go to great lengths to keep my kitty-kids happy, but I think anyone with furry family members knows how that is! Zoe and Alex are as different as can be, but they both have a similar story. Their moms were both stray cats. Zoe’s mom was abandoned last winter, in the harshest cold that I can ever recall. When she was ready to have her babies, she broke into my boyfriend’s house to deliver. She knew she wanted her kids born in safety. After all that hard work, Sal made sure she and her children all went to good homes. Alex’s mom was a feral who lived outside my home. She died when he was 8 weeks old. You can read his story here. 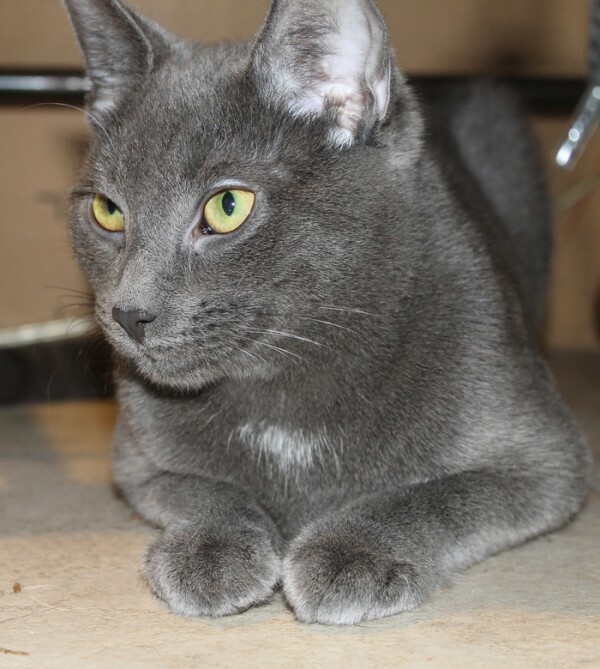 Unlike Alex and Zoe, so many cats never find forever homes. Many never even make it into shelters. The feral cat population in my neighborhood is pretty big. I do what I can to help the other kittens still outside. Our shelters are full. They’re doing the very best they can to find homes for all animals in their care. I’ve always been passionate about helping animals, but Zoe and The Fuzz have made me even more passionate. That why I make an effort to support pet food companies that give back, that help animals in need. Chicken Soup for the Soul Pet Food isn’t just excellent food for your pet, they’re passionate about helping animals. They know that every single animal out there deserves a loving home. 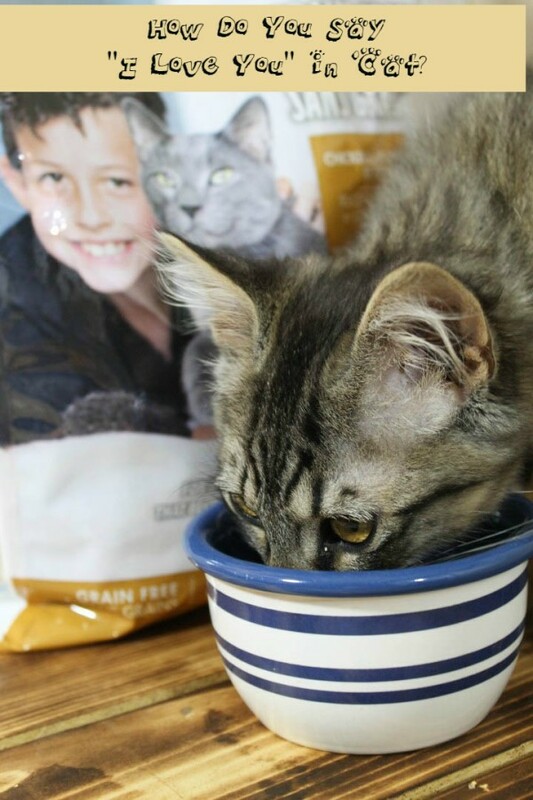 Part of the proceeds from the sale of their pet food goes to The Humpty Dumpty Institute, to help support organizations that care for animals in shelters. They’ve also changed their packaging and have done something really cool with it. Every package now features either a shelter pet from a local shelter or a pet who just found his or her forever home. My bag of Grain-Free Chicken Soup for the Soul Chicken & Legumes Recipe featured a kitty that looked just like my Zoe. She was unavailable for photos (napping under a bed). The Fuzz, on the other hand, LOVES a good photo shoot, especially when there’s food involved. Good thing I saved this photo shoot for last (I was catching up on a bunch of pictures I needed to take). He dug in and didn’t want to stop! 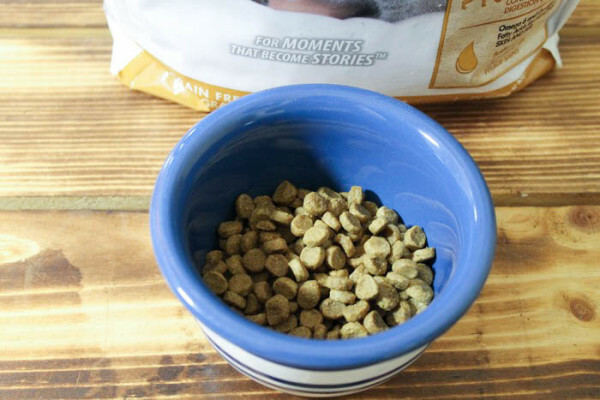 All of my cats absolutely love Chicken Soup for the Soul pet food, which is amazing because I usually have one hold-out who refuses to eat what everyone else enjoys. I feel good giving it to them because they not only support shelter animals, but the food itself is premium quality. Check out their store locator to find it in your area. Follow them on Facebook and Twitter to keep up with news. I could talk about my furkids all day, so I better stop myself now! To answer the original question of how do you say “I love you” in cat? I think the answer is simple: just love them every day. They know it through our actions, big and small, normal and silly. How do you show your love for your pet every day? Tell me in the comments! This is a sponsored conversation written by me on behalf of Chicken Soup. The opinions and text are all mine. I’ll have to let Chelsea try this. She is very loved and I love taking time out of my day to play with her. I had her fixed yesterday and I’ve been crying every since. She is not moving around much and it’s my fault she is in pain. On another note, I think it’s great that this company supports animal shelters. We are a dog family, but he knows he’s loved. He is like one of my kids. Nice. We have two cats that we love. I’ll have to look for this in the store. I have a very spoiled dog. I don’t have cats or any pets, but I used to show my ex-boyfriend’s cats love by giving them constant attention – which is all they wanted! That’s so lovely. You definitely know how to show them you love them! Keep it up! We always want the best for our pets, they are family after all. 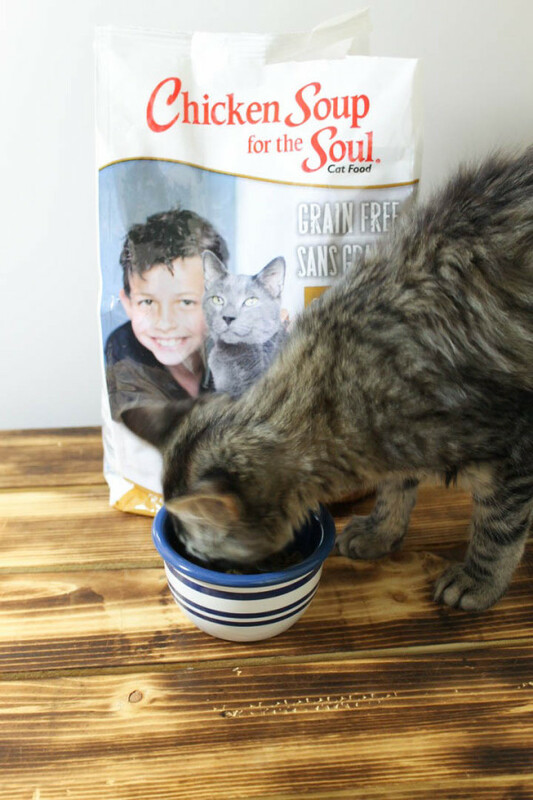 I think it’s great Chicken Soup for the Soul has launched their cat food brand. Supporting organizations that care for shelter animals is such a worthy cause. And, I’ll bet our cat would love it too. Love all your cats pics! They’re all cute! If I have a cat I can say how much I love them with this brand. wow, looks like they’re enjoying it. SO cute! We are a dog family now, but I had cats growing up. One “magically” showed up on my porch one day needing a home and I had to beg my parents to let me keep her. Unfortunately for them, and fortunately for ME, she ended up having 2 litters of kittens, hehe! I loved that damn cat so much! Awww….so sweet! We have two cats and are HUGE cat people! We have one SUPER sweet one and one that is…well…a little on the rotten side! Lol! It’s great that shelter animals are being supported! We show our dog a lot of love with our attention and time. I have a dog. I love cats too but allergic. Pets are great to have for the family. I show my love for my kitties by cuddling them, petting with them and playing with them. I also like to give them tuna for a treat at times. They love it.